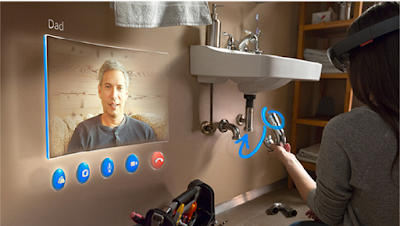 The cordless self- contained smart-headset computer device uses a mixed reality computing technology to represent virtual elements (Holograms) in the physical environment of the user, giving the operator the ability to interact with the objects in real time, thanks to its powerful HPU processors capable of interpreting terabytes of information per second from advanced sensors. 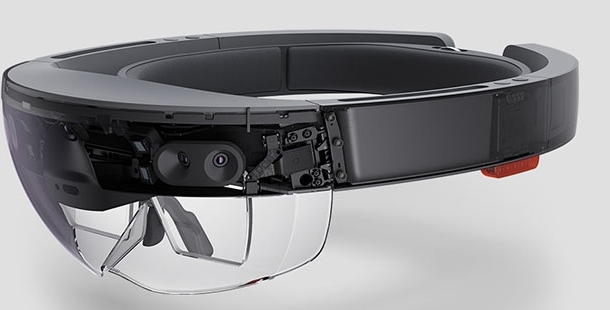 Weighing about 0.4 kg, the HoloLens smart-glass unit features a depth sensing camera with a 120° x 120° field of view, binaural audio microphone array; using human sound localization to create spatial effects, photographic camera and inertial measurement unit (IMU) which includes a gyroscope, accelerometer and a magnetometer. 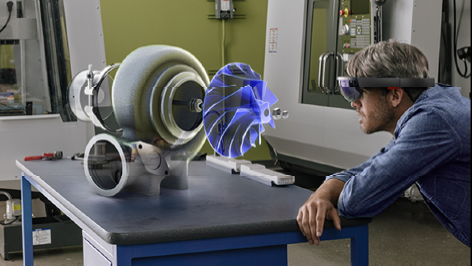 The HoloLens combines three layers of lenses linked to a ‘light engine’ to diffract blue, green and red light in a wavelength that repeats itself along a layer until it becomes visible to the naked eye, giving the user a perception of an interactive high-definition stereoscopic 3D environment. What is ‘under the hood’ of the hardware? In my opinion, this device can only be described as an evolution in computing of a fully untethered holographic computer, using advanced sensors to interact with holograms. As with all wearable technology, the problem is not how powerful or useful the system is but how long you can keep the device on without fatigue of your strained body parts. The developers at Microsoft took this handicap into consideration to produce an ergonomic headset with great weight distribution, ensuring your ears; nose and the crown of your head feel very comfortable. Good news for users with larger head sizes, suspended in the inner arc of the device is an adjustment wheel to fit any adult head. Every computer user is familiar with the fact that processing large amounts of data quickly turns up the heat in your processors. 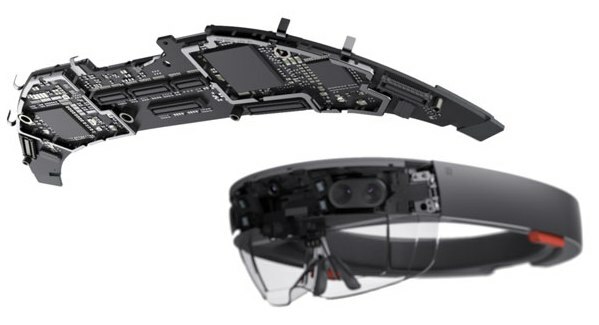 The HoloLens powerful HPU processors means the unit has no cooling fans using passive cooling technology instead for a truly free untethered experience. 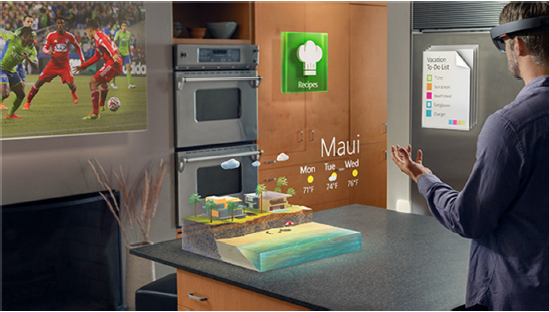 HoloLens sensors can capture information about what you are doing to understand your gestures, where you look and map your environment with full colour multi-dimensional interactive holograms. A precise audio experience like spatial sound is without a doubt one of the most important aspects of a technology like this because if other holograms are sharing the same environment, the users would need to be able to determine the specific location the voice is coming from in a room for example. Users will be familiar with the Windows desktop environment, after all Windows 10 was built with holographic computing in mind so many elements are carried over to the virtual reality environment. Technologies like gaze tracking seen in some smart phones is used to focus users’ attention on specific objects they want to interact with. Objects in the augmented environment can be selected using imaginary mouse click actions such as ‘Air Tap’ technology that respond to your fingers. To perform a ‘drag’ function, the tap is held for longer just like desktop computing to move objects in space. Voice commands will be the primary way you navigate and interact with your new world after the HoloLens is calibrated to the interpapillary distance of the individual user. Simply open your palms facing up and the device returns to the home menu. This is probably a good time to state the fact that other technology giants have been hard at work developing their own VR/AR technology such as the recently Facebook acquired Oculus Rift ® VR goggles, HTC ViVe®, Google Cardboard, Samsung VR Gear 2® and Sony PlayStation VR® that offer various forms of virtual reality experiences. 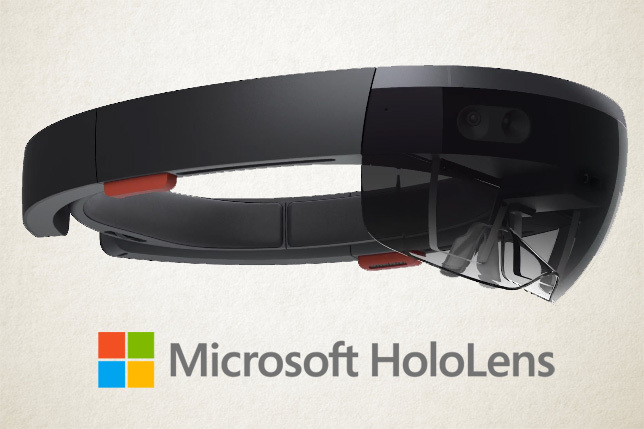 Microsoft announced the first units of the HoloLens will be shipped out in Q1 of 2016 to registered developers only with an estimated retail price of around $3000 or £2000. A fair price to pay for such a high end holographic device bearing in mind other competitors like Oculus Rift® will set you back about £4000 because other hardware may be required. Cheaper alternatives like the Samsung VR Gear 2® which can be picked up for about £199.99 and only require a compatible smart phone from their Galaxy range. 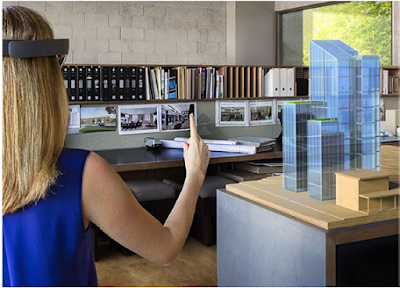 The announcement of a futuristic technology like HoloLens sent the whole scientific community into a frenzy, sparking all sorts of ideas for real world applications of the smart glasses. Let’s face it, the only place we were actually able to see this ideas in action would be multi-million blockbuster sci-fi movies like Iron Man, Minority Report and futuristic hit series Continuum. Although most of the concepts depicted are still decades away, HoloLens is a great start to making human-computer interfaces a reality. We all love our displays from LCD to SUHD panels and even our beloved relic cathode ray tube televisions that have been our window into the machine world for decades. Imagine every surface in your house transformed into a digital display where your local weather report, Twitter feeds and Facebook notifications appear on your fridge freezer or kitchen worktop. Take your favourite Netflix TV show with you round the house and take control of all functions using voice commands. Ever since we discovered the pencil and paper, all our ideas for building complex machines have always been documented in 2 Dimensional paper format or at best, a digital copy on a computer. HoloLens now makes it possible for an engineer working on turbines or a sound engineer working on the next generation of speakers to visualise their design from every angle, simulate functionality and do multiple iterations to perfect it. Many of us grew up in the age of social media and YouTube which is the number 1 platform of choice for How-To video tutorials. This takes it to the next level with a single call to your dad; he can appear on a wall to walk you through the step-by-step process of fixing your leaking taps and showers. Advanced sensors provide a heads up display notification to draw the users’ attention to a misplaced component. Sounds like DIY heaven! Product designers can finally breathe a sigh of relief with AutoDesk 360, your designs can come to life in your work space and you have the ability to scale it up to any size you want, providing the perfect tool for real time iterations, prototyping and making more precise modelling decisions with partners all over the world without the need for travel. From residential houses to large shopping malls, buildings can now be designed and visualised by multiple architects in real time. The prospective client can become part of the design process with a virtual tour of the complete structure. It’s always exciting to hear about a breakthrough in space exploration since man landed on the moon. But these achievements are harder than it looks when you have to cover vast distances and overcome great gravitational forces. 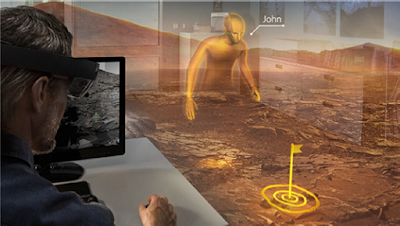 HoloLens gives scientists and astronauts the tool bridge the vast light years by virtually navigating landscapes and objects of interest with their robot helpers. With long standing illnesses such as cancer, Alzheimer’s, dementia and Parkinson’s disease, everyone is affected in one way or another. Doctors and students can now learn by examining detailed models of human body to help find potential cures. 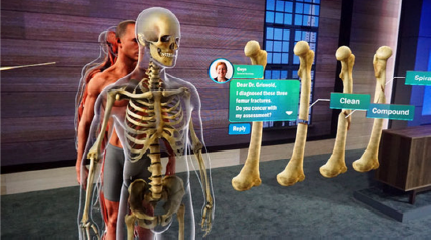 One of my favourite ideas so far to use HoloLens for 3D MRI scans has great potential applications in the health sector, giving specialists in depth views of internal structures as well as the benefit of a second opinion from another doctor in real time. 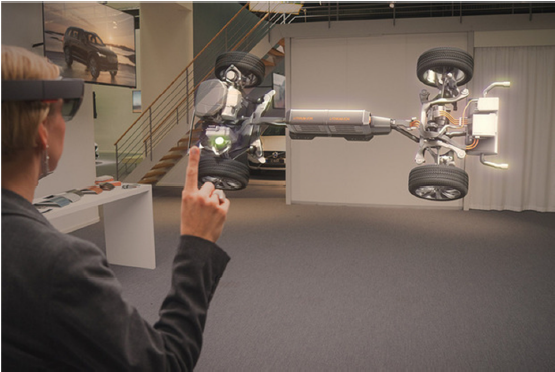 Automobile companies like Volvo, Audi, BMW and Mercedes Benz are all using some form of virtual applications to visualise their designs. This technology would allow them to see the cars from a different point of view so more sophisticated security sensor systems can be developed. The most obvious application of them all is gaming with industry leaders like Sony, Oculus and Samsung all racing to develop content for the VR platforms, 2016 will see a significant increase in virtual Hi-Def gaming with some games allowing users to play golf as giant robots in a city, crushing everything in the path. 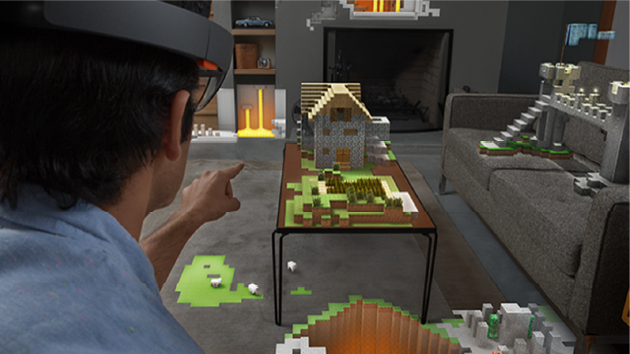 Expect your living rooms transforming into immersive worlds where you can build castles in Minecraft on your couch. I personally can’t wait to play a game of Zombies in a spooky ghost town. Well done if you made it this far, you must be excited about this technology as I am and the endless possibilities we all hope it offers in our quest for creativity. With a projected market worth billions of pounds in just 5 years, the HoloLens is an exciting smart device to watch in 2016 and beyond. 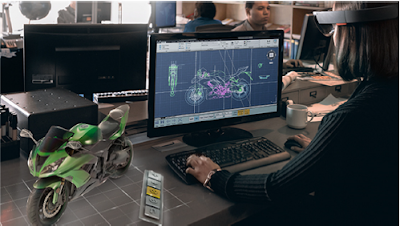 Microsoft welcomes any revolutionary idea that could be the next big thing in the coming decades.You can register your ideas by visiting: https://microsoftstudios.com/hololens/shareyouridea/ where you can receive support from the development team to build your product until 11th January, 2016. In a nutshell, Microsoft HoloLens is a truly revolutionary piece of technology which has surely sparked a fresh beginning with the new age of virtual reality. With plenty of applications to assist in the architectural and engineering world, to dramatically develop medical science and to bring mundane day-to-day tasks to life, what’s not to love?